Come celebrate the Lunar New Year with The TENG Ensemble, presented by Mapletree Investments! 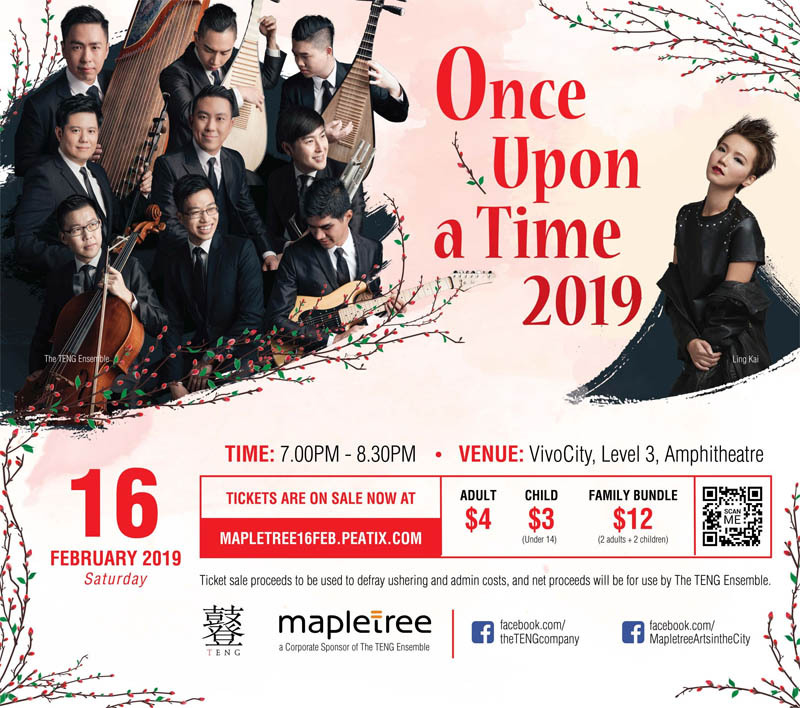 Enjoy a night filled with classic Lunar New Year tunes alongside the stories of the festival's traditions in the second edition of Once Upon a Time. Relish in this musical treat for the entire family as the ensemble performs popular hits with singer-songwriter and Sing My Song 《中国好歌曲》 finalist, Ling Kai, and young musicians from the Guzheng Association (Singapore).